Prevention of vascular ischaemia associated with atherothrombotic events (myocardial infarction, stroke and vascular death) in patients with a history of symptomatic atherosclerotic disease.,Acute Coronary Syndrome,Clopidogrel GH is indicated in combination with aspirin for patients with:,- Unstable angina or non-ST-elevation myocardial infarction in order to prevent early and long-term atherothrombotic events (myocardial infarction, stroke, vascular death or refractory ischaemia). Clopidogrel GH is indicated for the treatment of acute coronary syndrome whether or not patients undergo cardiac revascularisation (surgical or PCI, with or without stent),- ST-segment elevation acute myocardial infarction in order to prevent atherothrombotic events. In this population, clopidogrel has been shown to reduce the rate of death from any cause and the rate of a combined endpoint of death, re-infarction or stroke in medically treated patients eligible for thrombolytic therapy. 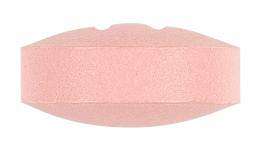 Pink, round, biconvex, film-coated tablet with 'II' engraved on one side. Prevention of vascular ischaemia associated with atherothrombotic events (myocardial infarction, stroke and vascular death) in patients with a history of symptomatic atherosclerotic disease.,Acute Coronary Syndrome,Clopidogrel GH is indicated in combination with aspirin for patients with:,- Unstable angina or non-ST-elevation myocardial infarction in order to prevent early and long-term atherothrombotic events (myocardial infarction, stroke, vascular death or refractory ischaemia). Clopidogrel GH is indicated for the treatment of acute coronary syndrome whether or not patients undergo cardiac revascularisation (surgical or PCI, with or without stent),-ST-segment elevation acute myocardial infarction in order to prevent atherothrombotic events. 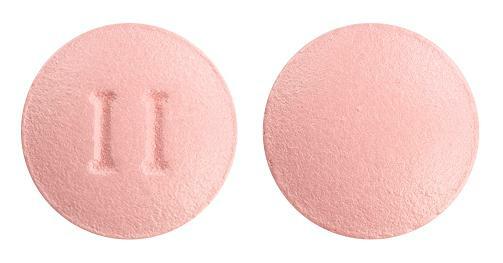 In this population, clopidogrel has been shown to reduce the rate of death from any cause and the rate of a combined endpoint of death, re-infarction or stroke in medically treated patients eligible for thrombolytic therapy.